Parts of the Mid-South are in line to possibly receive their first severe weather of 2012, and the first round in a few months. The possible severe weather will be the result of a fairly potent low pressure system that will move almost directly over Memphis around midnight tonight (see graphic below). Ahead of the low and it's accompanying cold front, atmospheric parameters will come together to support thunderstorms with some possibly strong to severe. The main threat of severe weather will be over MS, where large hail, damaging straight line wind and isolated tornadoes are possible. Closer to the track of the low - in the immediate metro - the main threat will be large hail, though damaging wind is possible in individual storms near the low pressure track. The convective outlook from the Storm Prediction Center (below) indicates a slight risk of severe weather with this system. As for timing, showers and non-severe thunderstorms will be likely beginning this afternoon. The best chance for any severe weather though appears to be a few hours ahead of the arrival of the low until it passes - which would be during the evening hours, or roughly from 6pm to midnight. Though the threat of severe weather in the greater Memphis area is low, remain aware of changing weather conditions and stay with MemphisWeather.net for the latest forecasts and severe weather information. As thunderstorms approach and cross through the area, we'll be nowcasting the event on our Facebook and Twitter streams (linked below) to keep you abreast of the situation. 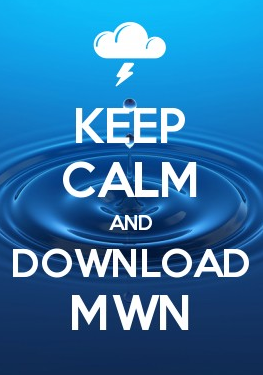 We also encourage you to check out our MWN Android app, which now includes the option of adding StormWatch+ - our personalized severe weather alert service that delivers watches and warnings directly to your Android device as they occur. Behind this system, a strong Arctic cold front will move through the area Wednesday night, which will bring the first blast of winter to the area since the New Year. High temperatures will occur early Thursday with temperatures falling through the 30s on a gusty northwest wind during the day. For the complete forecast, visit MWN. For weather information for Memphis and the Mid-South, where and when you need it, visit MemphisWeather.net on the web, m.memphisweather.net on your mobile phone, download our Android app, and visit us on Facebook and Twitter.